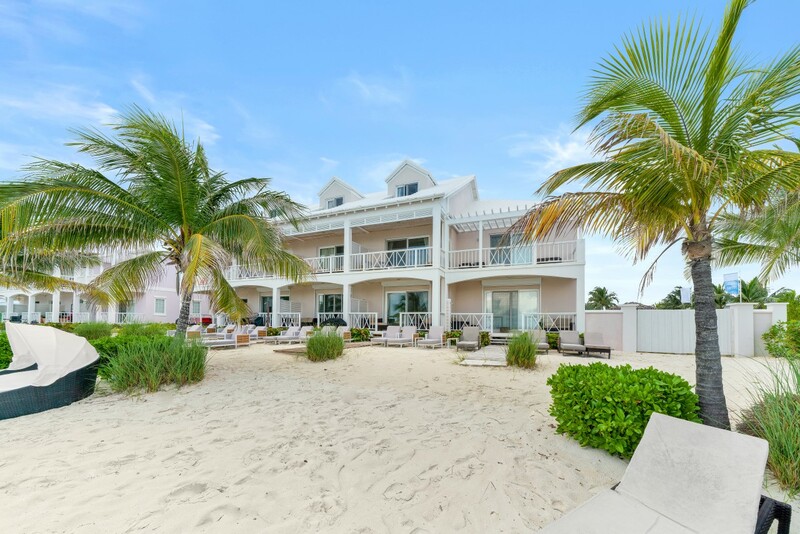 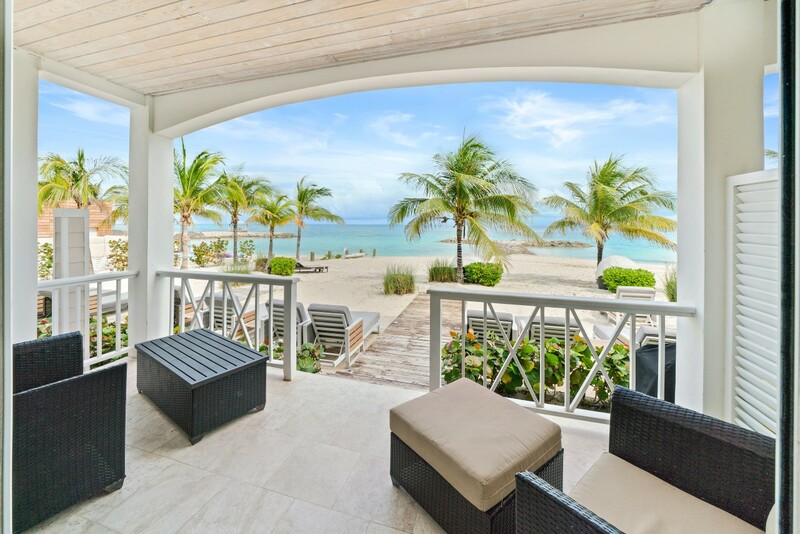 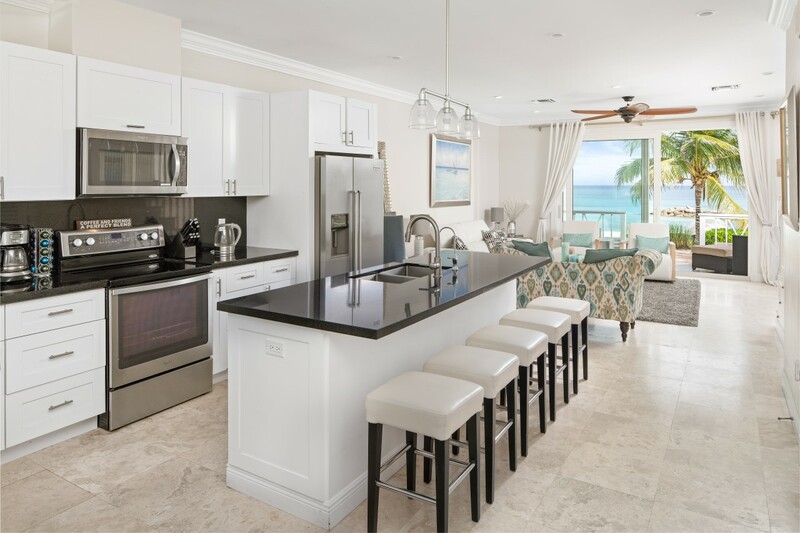 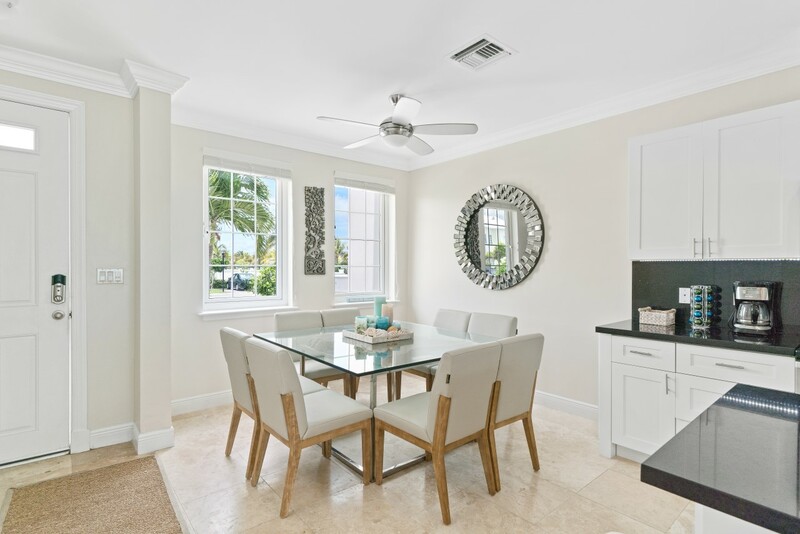 Luxurious 4 bedroom, 3.5 bathroom beachfront townhouse in a gated and child-friendly community located in Palm Cay, New Providence. 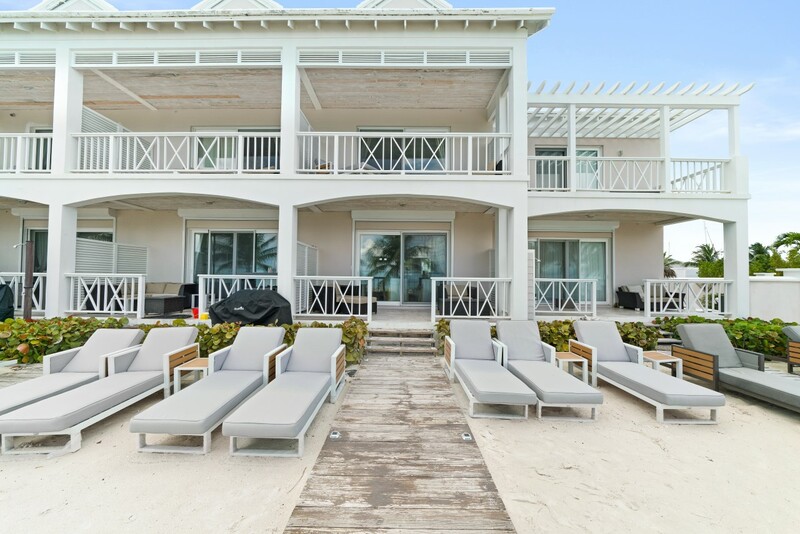 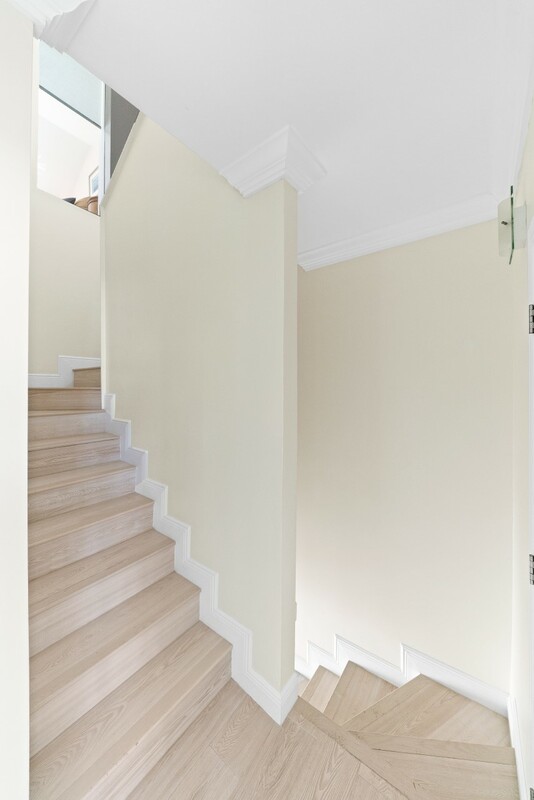 "Billabong Villa" is a turnkey investment property with a profitable rental business already established. 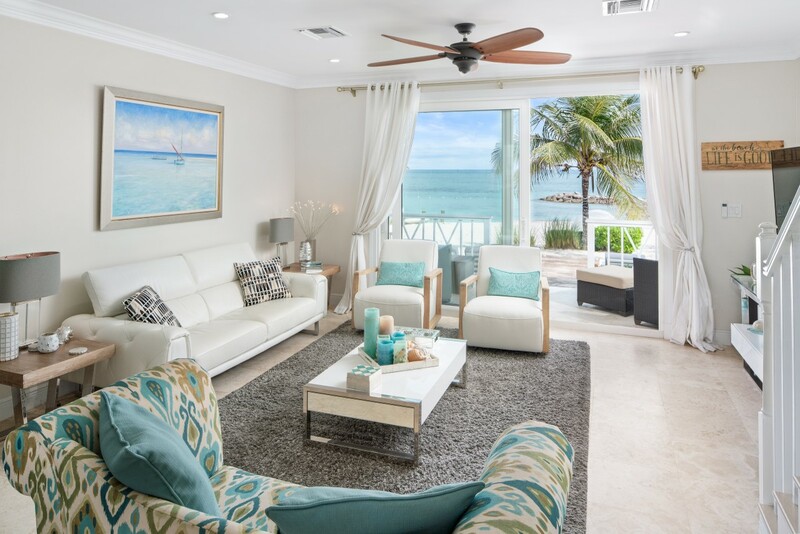 The villa offers a spacious living room on the first floor with very comfortable sofas, beautiful fabrics, and tiled flooring. 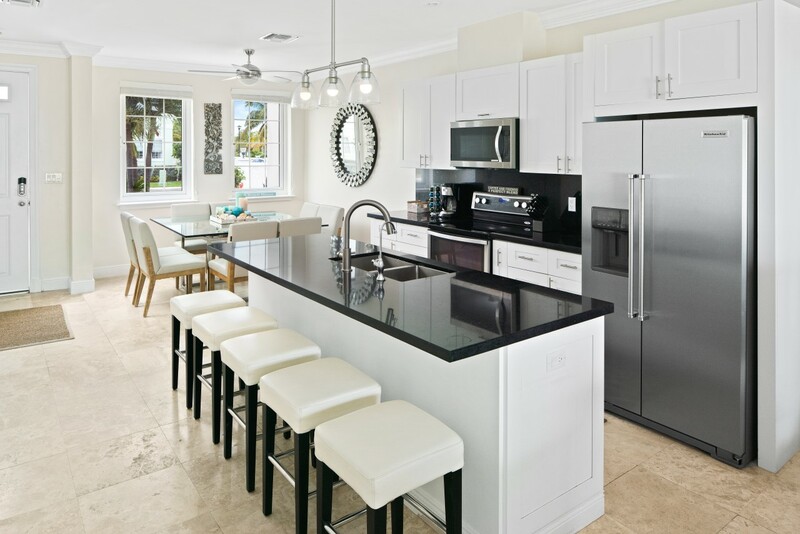 The kitchen is fully equipped and features stainless steel appliances, granite countertops and backsplash, and has a fresh and bright look. 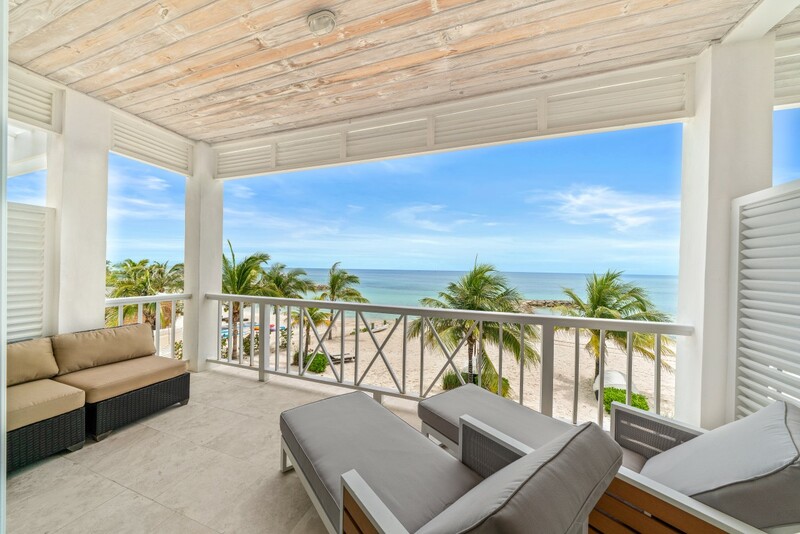 Large sliding glass doors open onto to the furnished patio that leads to a private deeded beach area complete with brand new lounge chairs. 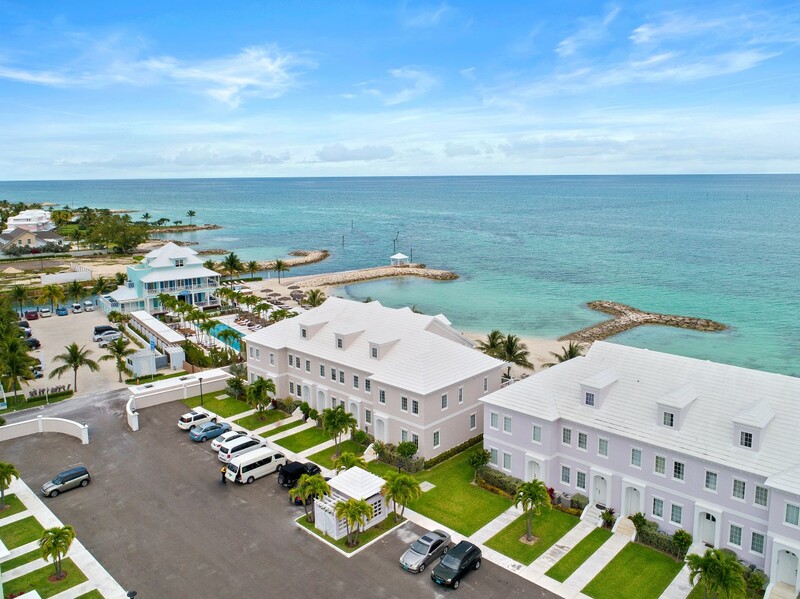 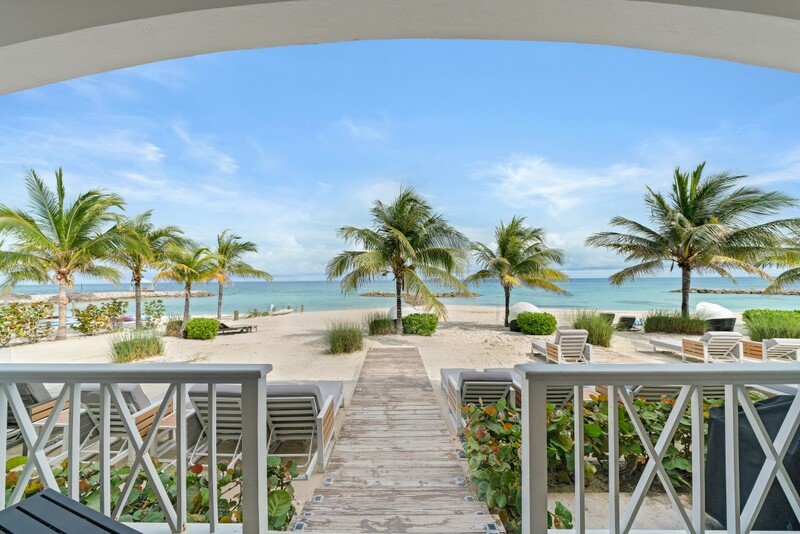 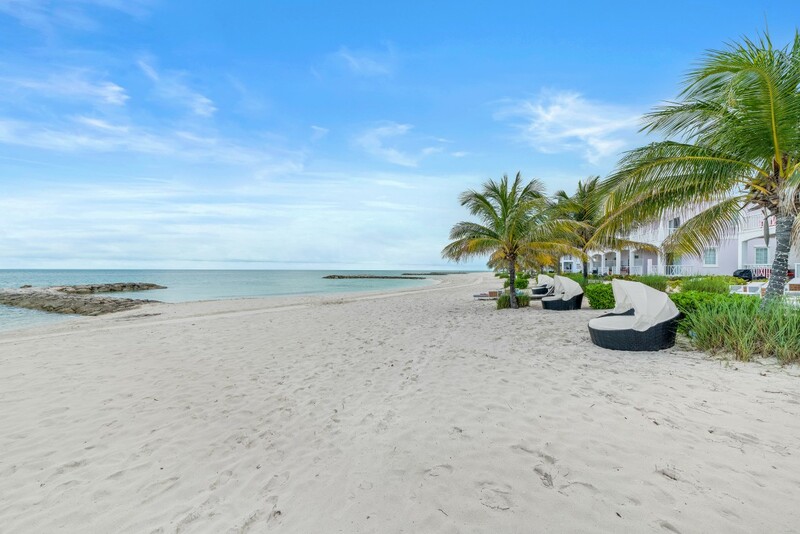 Beyond the lovely coconut trees that outline the property is the beautiful stretch of pristine white sand beach and the famous Bahamian waters. 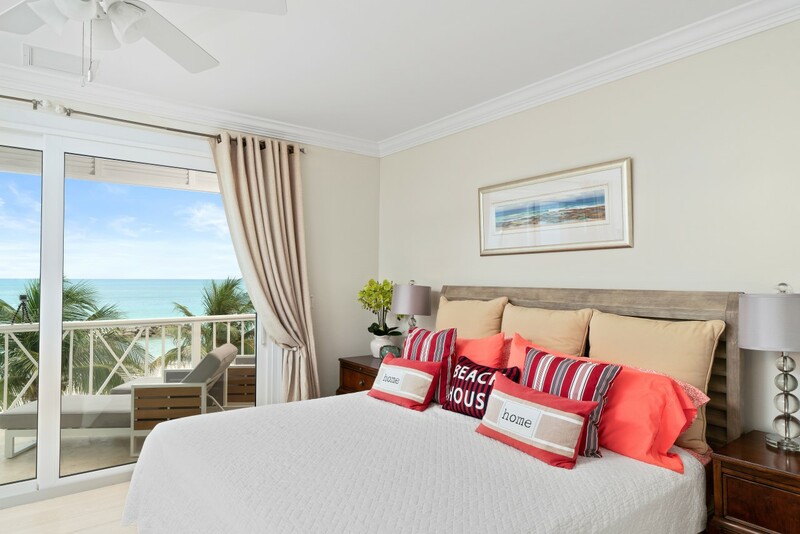 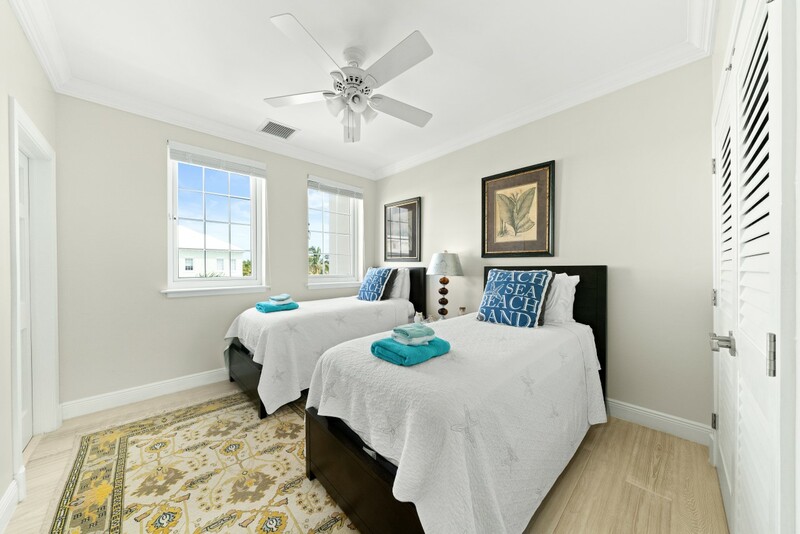 The master bedroom is on the second floor and features a king-size bed, an en-suite bathroom, lovely décor, and a large balcony overlooking the ocean. 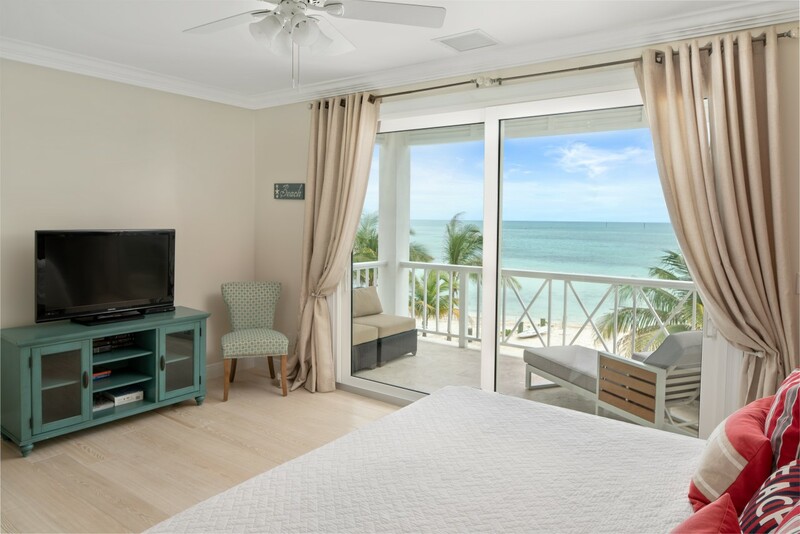 There is a second bedroom on the same level that is furnished with two twin beds and has its own en-suite bathroom with a shower. 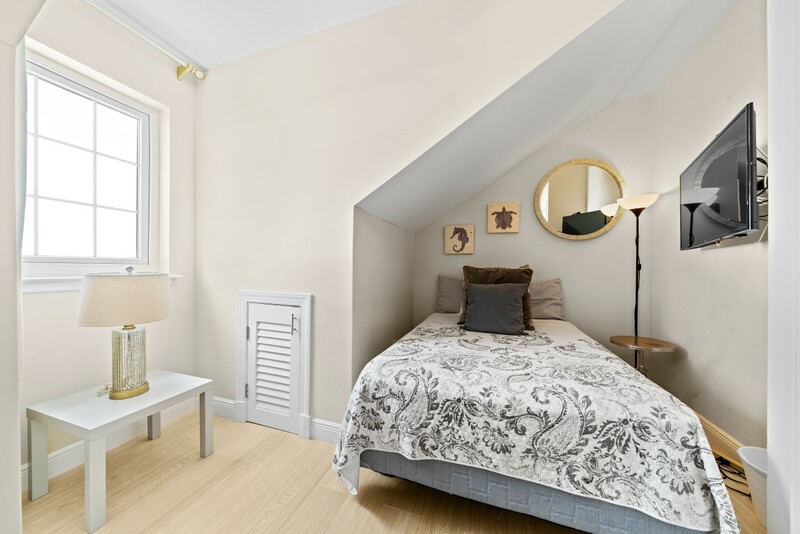 The third bedroom is on the third floor and is furnished with a queen-sized bed and also has an en-suite bathroom with a shower. 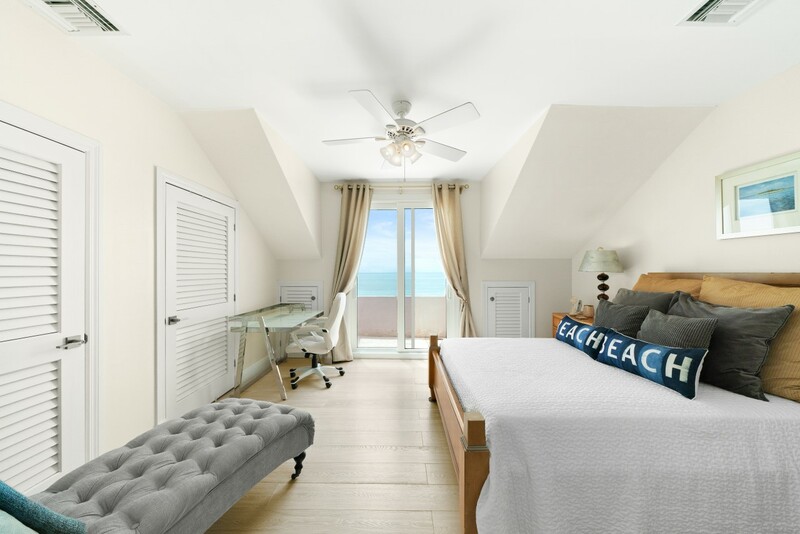 This bedroom has a beautiful balcony that offers wide views of the beach and the ocean. 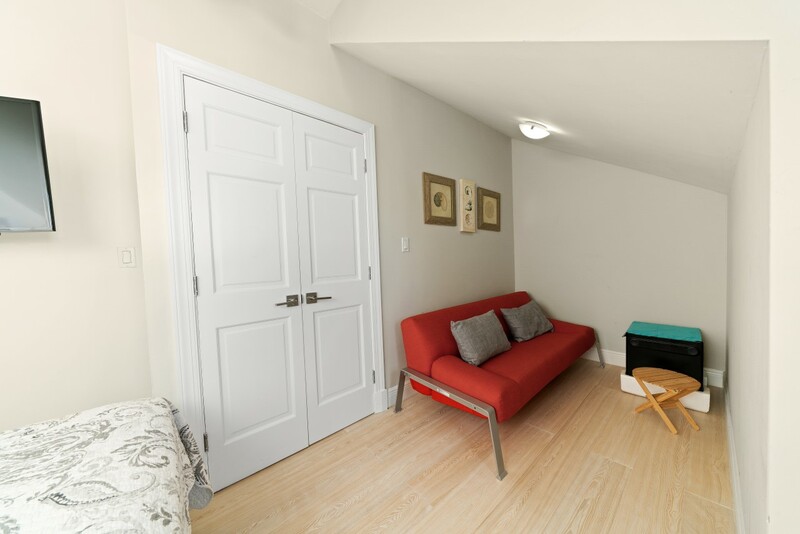 The third floor also has a studio bedroom with a double bed and a futon bed. 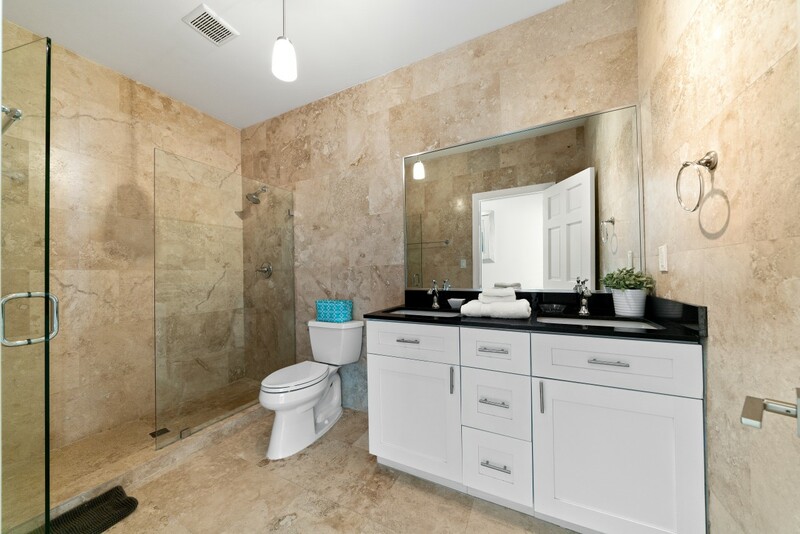 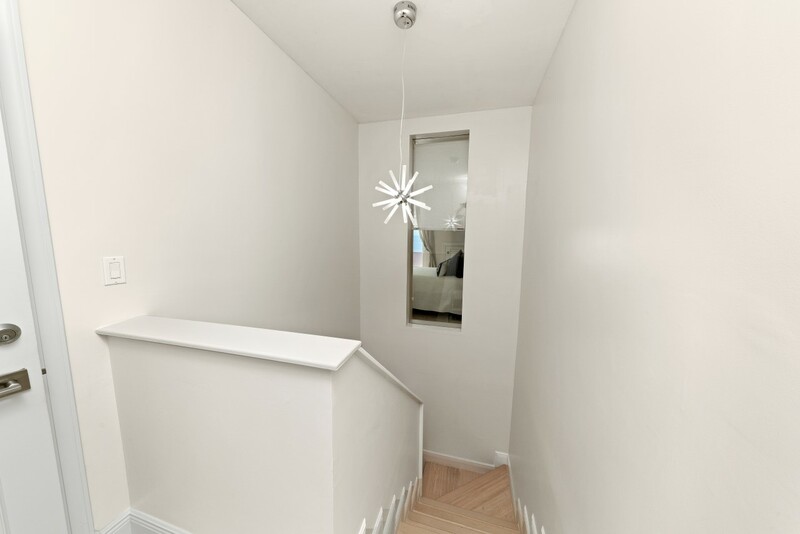 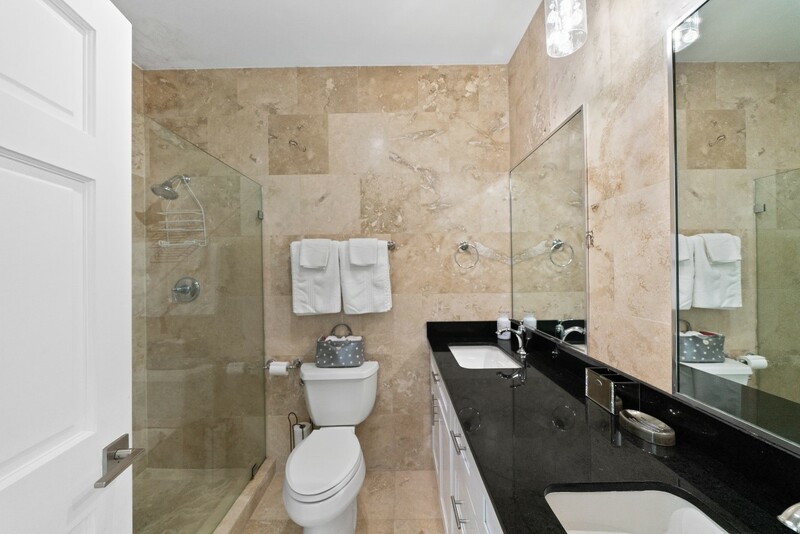 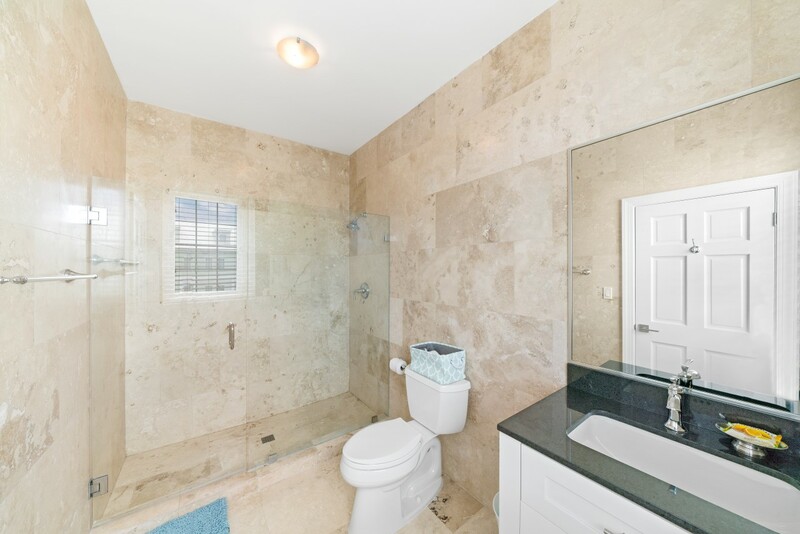 All the bedrooms feature hardwood floors and travertine tile floors in the bathrooms. 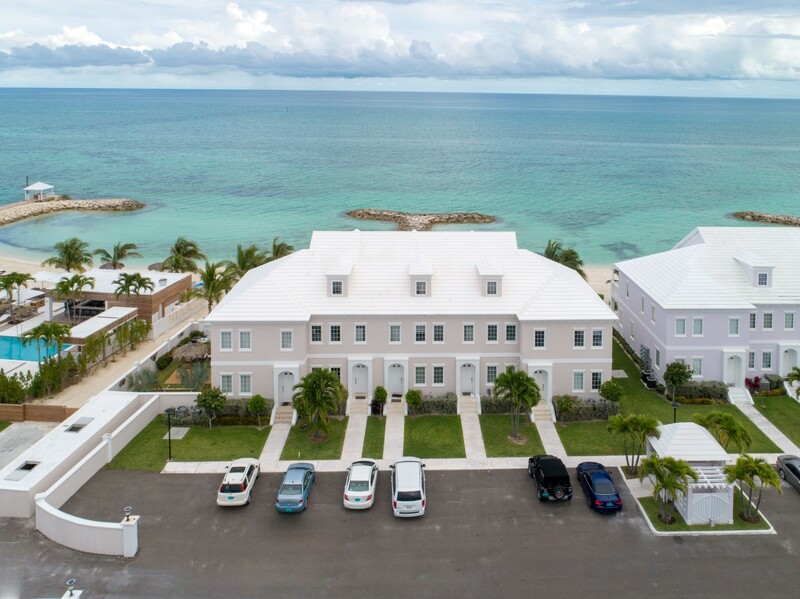 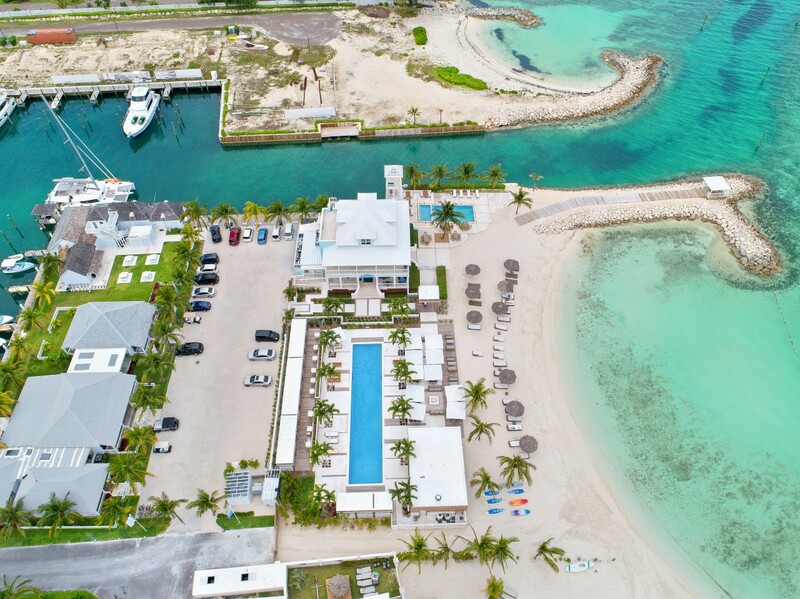 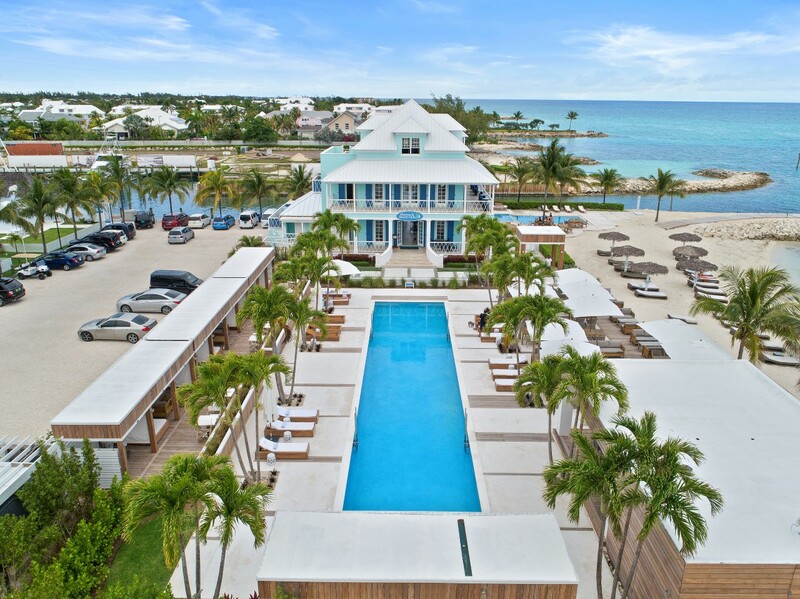 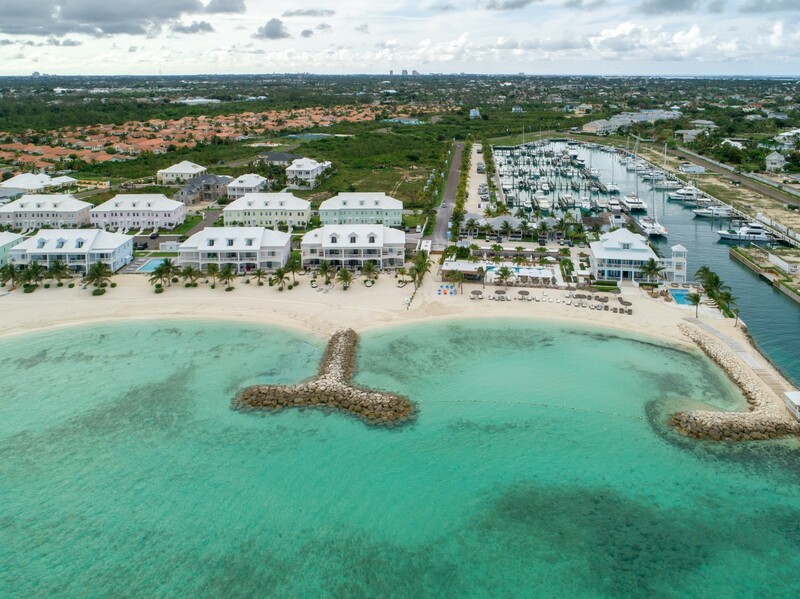 Property amenities include 24-hour gated security, a full service marina, exclusive club membership, newly renovated beach club pool and bar, multiple swimming pools and dining choices, fitness center, tennis courts, and playground.